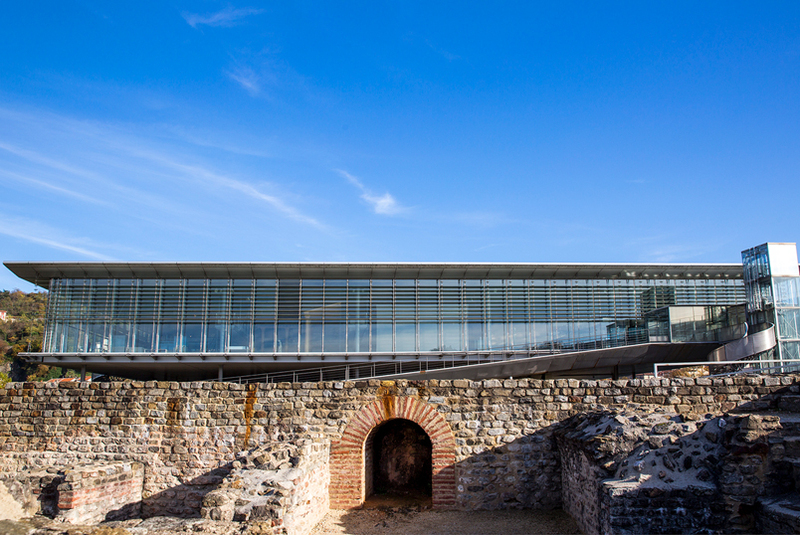 Thirty kilometres to the south of Lyon and on the right bank of the Rhône River, the archaeological site of Saint-Romain-en-Gal – Vienne offers more than three hectares (7.5 acres) of archaeological vestiges of a neighbourhood of the Roman city of Vienne. During Antiquity, Vienne, as it was known, was the capital of a vast territory covering the Dauphiné and Savoy regions that stretched over each side of the Rhône. Today, the archaeological site and the Museum of Saint-Romain-en-Gal take visitors 2000 years back in time to one of the richest cities of Roman Gaul. The collections make up a complete panorama of everyday life during the first centuries of our era. The chosen strategy is an ethnological approach, with numerous reconstructions in the form of models. The visit allows guests to discover the site and its history and the scope of Romanization, notably through the mosaic of The Conquering Athletes, the paintings of the wrestlers' baths and the model of Vienne covering the 2nd century to the present day. 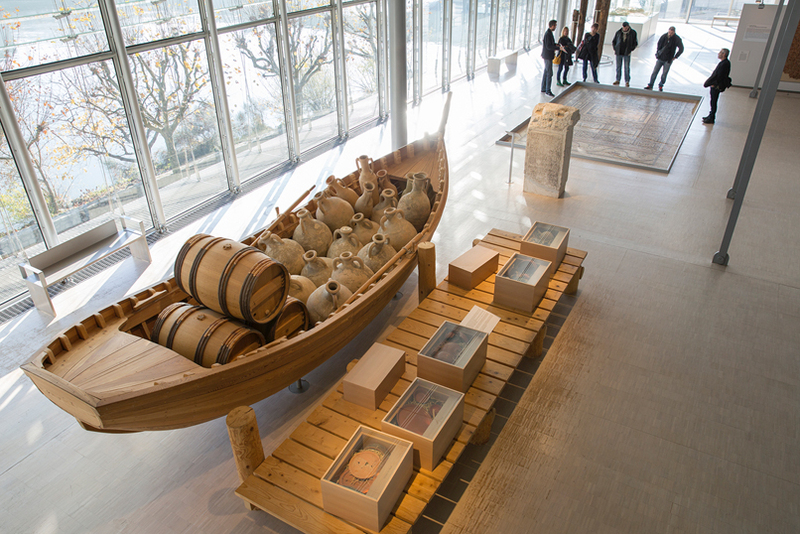 The artisan trades, commerce, and economic importance of the city, a source of wealth for its inhabitants, are evoked in the part of the museum dominating the Rhône – a reminder of the river's essential role as means of communication and transport. Further along, you will discover the diversity of decorations and the originality of the style of the mosaicists of Vienne. Dominating the archaeological site is the presentation of a Roman house, sector by sector, which reconstructs the style and manners of everyday life. It has long been known that the Rhône's right bank, facing Vienne, was occupied during Antiquity, but it was also imagined that several large houses existed, dispersed throughout the countryside. Preceding the construction of a high school in 1967, archaeologists began a large dig on the site of Plaine. They were in for a surprise: they discovered the vestiges of an entire city! Since then, the site has been acquired by the Rhône Department and classified as a historical monument. It has been restored and renovated for visits. Created at the end of the 1st century BC, this residential district developed intensively around 50 AD because of the economic importance of the Rhône Valley. The wealth of its inhabitants is expressed in the construction of veritable little palaces. Around them are paved streets, warehouses, and workshops, and also the public baths, comprising an urban landscape whose organization and concern for comfort whose modernity is surprising. 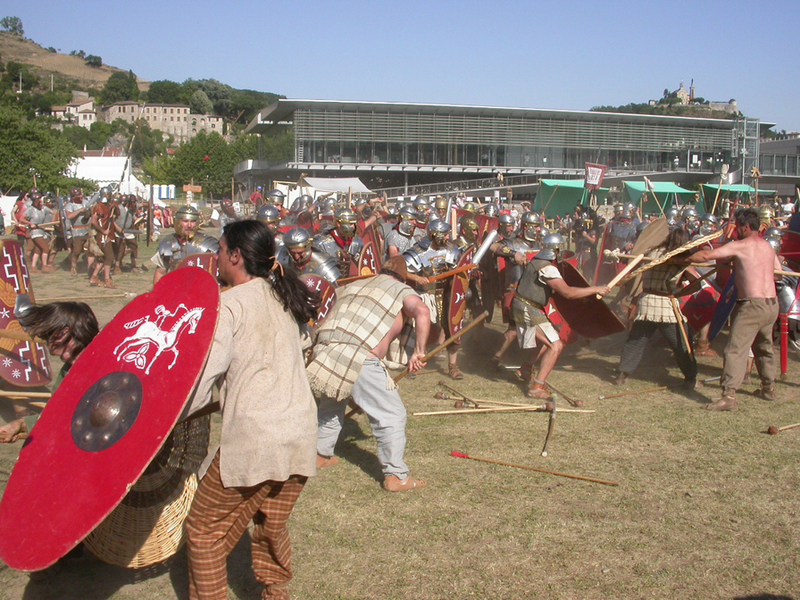 - Les Vinalia : each year, this living history event introduce ancient Wine and food. Ceramics kilns, pitch kilns, Roman baker's oven, Roman garden and vineyard, etc. Project manager for Les Vinalia. Specialist of ancient wine, food and pitch.